Did you know that we now have a yoga class taking place on Thursdays from 18.30 to 19.45pm at Pentridge Village Hall? The classes are a fun, dynamic style of yoga in which the poses are linked together in creative ways. The flows or sequences are adapted to suit the level or mood of the class. Pay as you go £10 per session – introductory offer £8 for your first month! 5 class pack £45 (£9 per class). 10 class pack £80 (£8 per class). 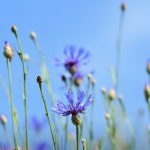 FREE Vinyasa Flow Taster Class for newcomers! 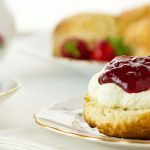 Come along to Pentridge Village Hall between 3-5pm on Bank Holiday Monday, 6th May 2019 and enjoy a fabulous Dorset Cream Tea with homemade scones, strawberry jam and clotted cream or perhaps you would prefer a delicious homemade cheese scone instead – all washed down with a cup of tea or coffee for just £3. Why not take a walk across Martin Down or up Pentridge Hill to Penbury Knoll and admire the beautiful countryside we have around us then pop in for a restorative Cream Tea afterwards! Pentridge Quiz Night on 16th March 2019 at Pentridge Village Hall. Doors open at 7pm with the quiz itself starting at 7.30pm. Separate adults & kids quizzes. All ages welcome – invite your family and friends. Nibbles will be provided but please bring your own drinks. Adults £5, under 16’s Free. For more information or to book your table email: info@pentridgedorset.co.uk or call Sarah on 01725 552707. 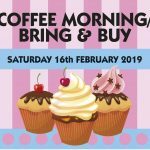 Why not come along to Pentridge Village Hall for our Coffee Morning/Bring & Buy Sale on Saturday 16th February from 10am until 12 Noon – all in aid of St. Rumbold’s Church. or Jessica Winby on 01725 552259. 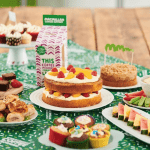 Just to say a huge thank you to everyone who contributed to the Macmillan coffee morning on Saturday 22nd September. It was a great success, despite the damp weather, and a good opportunity for everyone to get together over a nice cuppa! The cakes were amazing: thank you all so much for your delicious contributions – they were yummy! A few more cakes were sold off after the event, Maureen took a few of the games into work and we had some extra donations as well making the grand total a whopping £563! This is absolutely fantastic – thank you. Sign up to our Mailing List to hear about events taking place at the Village Hall or around Pentridge.